South Cornwall, Find out more about where to find your ideal Hotel, Guest house or B&B. South Cornwall is very different to the dramatic cliffs and crashing waves of Cornwall’s north coast, south Cornwall has a much more relaxed pace. There are peaceful estuaries, historic woodlands, beautiful sandy beaches and gently undulating hills; you’ll find an interesting blend of old and new. South Cornwall has traditional Cornish fishing villages and lively waterside towns, lustrous white yachts and brightly painted fishing boats. Packed with art galleries, antique shops, yacht chandleries, waterside pubs and restaurants. This harbour town is full of activity and has a great maritime history and an artistic feel all year round. View present-day art at The Poly and the Falmouth Art Gallery. Amble round the National Maritime Museum Cornwall, or amble up to Pendennis Point to take in the seascape from Pendennis Castle, built by Henry VIII. Take it easy on one of Falmouth’s five delightful beaches. Seeing the sights couldn’t be easier than taking the Explorer Bus or why not one of the ferries and pleasure boats to travel around the beautiful Fal estuary. Nearby there are excellent eating-places in beautiful riverside villages such as Malpas and Mylor, Feock and Trelissick Garden, the Smugglers’ Cottage at Tolverne and the famous Pandora Inn at Restronguet Creek. 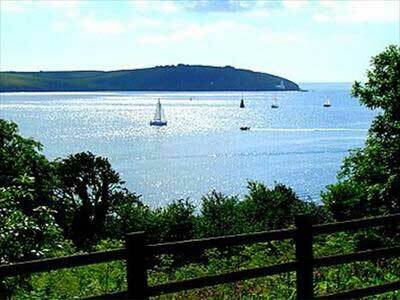 The first-rate sailing waters of the Carrick Roads and Falmouth Bay itself offers exceptional conditions for sailing, Falmouth has been the base for Britain’s entry into the Americas Cup and has it’s annual sailing week in August. 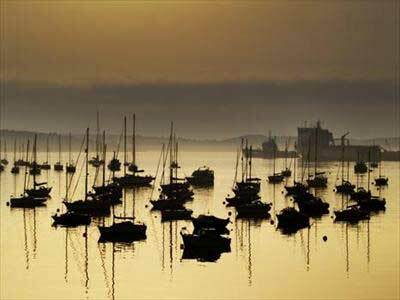 In October Falmouth Oyster Festival celebrates the start of the oyster season. A mecca for sailors, food lovers and literary fans, Fowey is intrinsically linked with Daphne du Maurier, one of Cornwall’s most famous authors. Wander along the elegant waterfront or investigate Fowey’s winding back streets with antique shops, bookshops, boutiques and restaurants. The Fowey Regatta and Carnival in August is a great time to visit or learn about the region’s rich cultural history at the Daphne du Maurier Festival of Arts and Literature in May. The Helford River abounds with splendid, wooded creeks that are full of flora and fauna. The Helford is also a relaxing destination for anyone wanting to get away from the stresses and strains of modern day life. Here are the glorious sub-tropical gardens of Trebah and Glendurgan, tranquil Cornish villages, traditional cottages in delightful settings along with atmospheric riverside pubs. 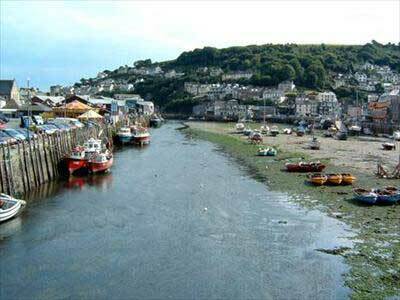 There is a wealth of places to dine in Looe, from excellent restaurants, delightful cafes and atmospheric pubs, many serving locally caught fish and superb Cornish produce. Relax on the magnificent sandy beach or wander the winding streets for some retail therapy. Visit the busy working harbour and watch the fishermen land their days catch. There are many pleasure boat trips along the south Cornwall coast, or you can try deep-sea fishing or scuba diving off Europe’s first artificial reef, HMS Scylla. Nestled amid the richly wooded hills around the River Fowey and overlooked by the ruins of Restormel Castle, the historic town of Lostwithiel is often described as one of Cornwall’s hidden treasures. Wander through the riverside parks or visit the many antique shops, markets, fairs and auctions to pick up a bargain. 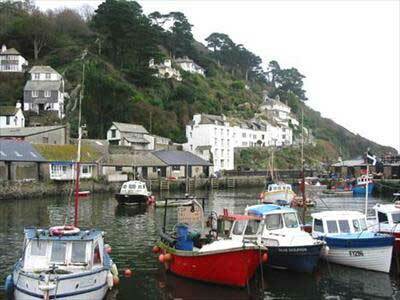 Relax on the quayside and watch the fishing boats in Mevagissey’s secluded harbour. 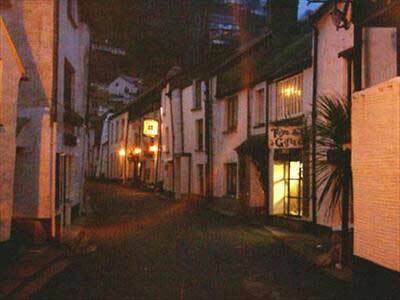 Its modern day peaceful aspect belies its notorious history of smuggling and pirates and you can find more about the history of the area at the Mevagissey Museum. The Lost Gardens of Heligan is nearby and here you will find pineapples and melons growing in greenhouses, a beautiful sleeping giant and Lobbs Farm Shop which is full of Cornish vegetables, fruit, cheeses and meats. The quay of this beautiful 13th Century fishing village has spectacular ocean views. Wander through a maze of tiny fishermen’s cottages, converted sail lofts, and shops selling Cornish confectionery, crafts and jewellery. Next to the ancient border between Devon and Cornwall, this area is a peaceful haven for sailors, divers, swimmers and walkers. The magnificent 800-acre estate of Mount Edgcumbe is a great place to explore, along with the amazing gardens of Anthony House. Sail up to Cawsand Bay for a swim, or for the more energetic try windsurfing, explore the villages of Cawsand and Kingsand, or simply relax on the splendid beach at Whitsand Bay. This area is dedicated as an Area of Outstanding Natural Beauty for its landscape and the unrivalled coastal scenery, the Roseland Peninsula has secluded coves, creeks and sheltered estuaries to explore. 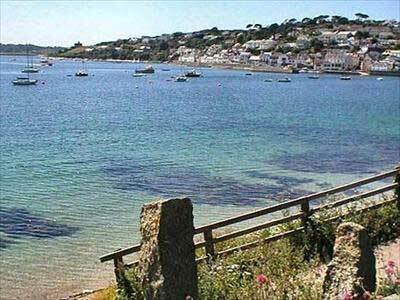 St Mawes is a great base from which to explore the area whether it’s by boat, on foot or on the King Harry ferry. Explore the sandy beaches; historic inns and beautiful coastal and inland villages, there are delights everywhere including Veryan with its thatched cottages, the historic fishing villages of Portloe, Portscatho and St Just-in-Roseland with its sub tropical gardens and picturesque 13th Century church. Discover the history of the Cornwall’s China Clay works at the Wheal Martyn China Clay Country Park or sample award winning ales and watch how they brew them at the famous St Austell brewery. The magnificent sandy beaches of Porthpean, Polkerris and Duporth are nearby, as are the world famous biomes of the Eden Project. Nearby Charlestown is a magnificent Georgian port that’s unspoilt architecture has led to it becoming a popular film location. Well known as Cornwall’s shopping capital, Truro’s cobbled streets have a wonderful collection of independent boutiques, galleries, jewellers, cafes, delis, pubs and restaurants as well as major national retailers. Wander round Truro’s historic Neo-Gothic cathedral or watch a show at the Hall For Cornwall or explore the Royal Cornwall Museum. From Truro you can take a boat trip to Falmouth, St Mawes, Tolverne or Trelissick and take in the awesome creek side villages and wooded hillsides of the River Fal.